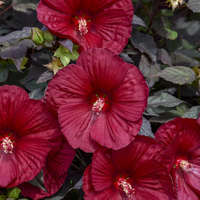 Hibiscus 'Cherry Choco Latte' PPAF CPBRAF | Walters Gardens, Inc.
'Cherry Choco Latte' is a brand new, long blooming Hibiscus with a smaller size that is more suitable for tighter spaces. 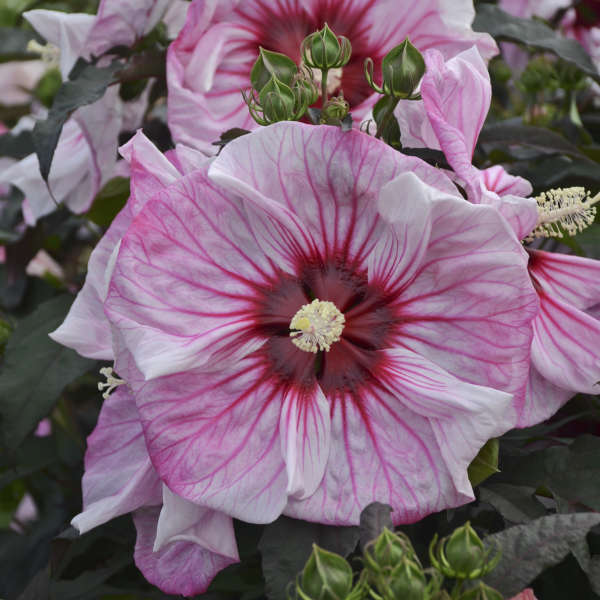 Very large, 8-9" three-dimensional flowers are white with intense deep pink veining and a notably large red eye. 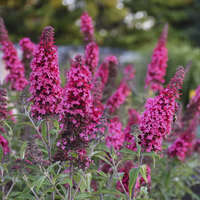 Attractive dark olive green foliage has bronze highlights and forms a compact clump, with flowers covering the entire habit later in the season. 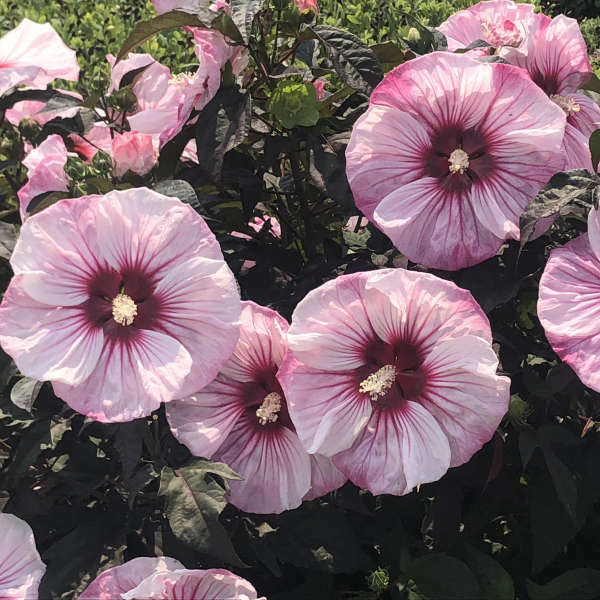 'Cherry Choco Latte' replaces 'Cherry Cheesecake' in the Proven Winners® lineup with larger flowers and improved flower form, more pronounced veining on the petals, darker foliage, and an improved, compact habit. 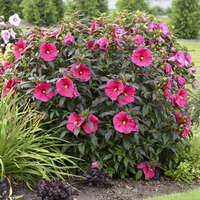 The SUMMERIFIC® trademark is owned by Walters Gardens, Inc.
Keep plants watered well and well-fed. 150-200ppm N will encourage vigorous growth. 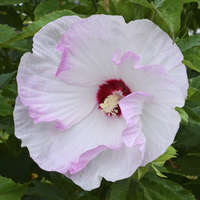 Aphids, caterpillars, Japanese beetles, mealybugs, scale, spider mites, thrips, and whitefilies are often observed on Hibiscus. Botrytis, Leaf spots, Alternaria and Cercospora, Myrothecium, Phytophora, Pseudomonas, and rust. 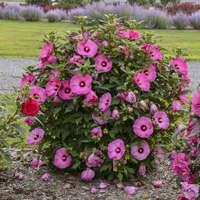 Bareroot plants can be trimmed to a 3-4" radius to fit the pot if necessary. 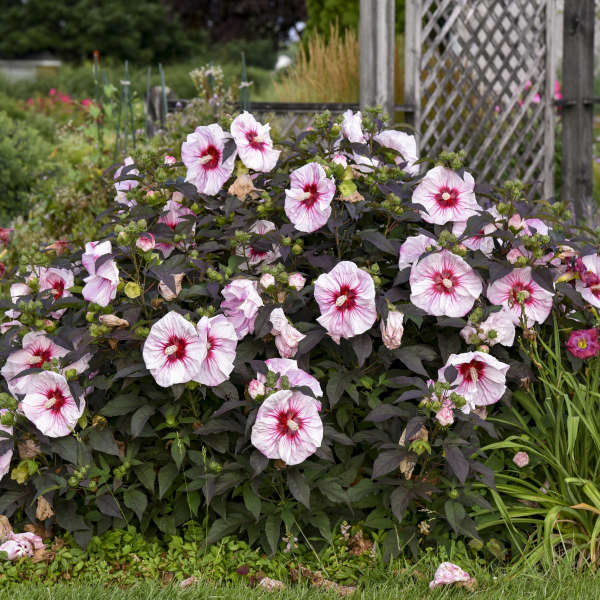 72's should be planted in 1 or 2 gallon containers and bareroot will need to go into 2 or 3 gallon containers Hibiscus can be pinched to encourage branching. 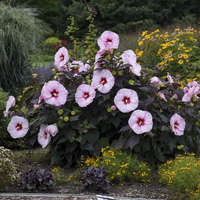 Soft pinch the shoots when they are 6-8" long leaving 4-6 leaves on each branch. 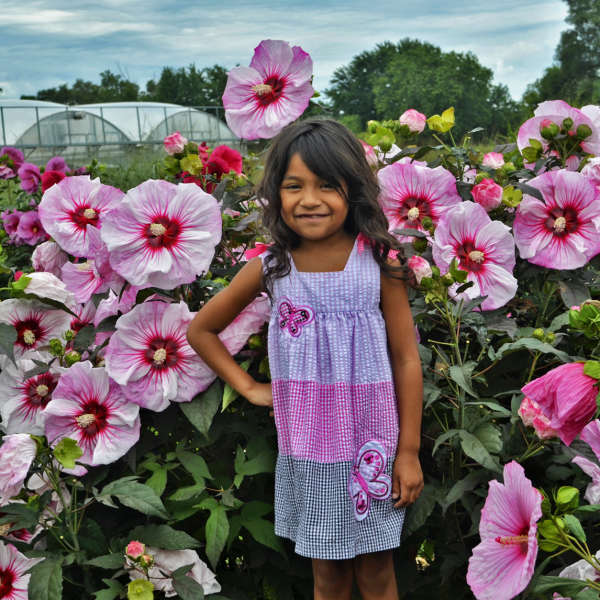 Allow 6 weeks from pinching until the desired bloom date. Consistent soil moisture is important. 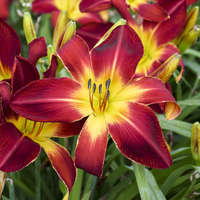 Never allow the plants to wilt or lower leaf loss, bud abortion and reduced quality characteristics will result. Moist to moderate moisture requirements. Crown should be at or just above soil level. PGR's: Spray multiple applications of B-Nine at 3750ppm and Cycocel at 1000ppm or Sumagic alone at 7.5ppm or drench with 10ppm Bonzai. 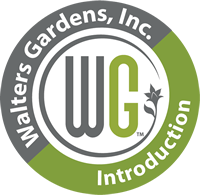 For best results begin PGR applications about 3-5 days following a pinch, use at 7 day intervals if additional control is needed. High light is required for growth. 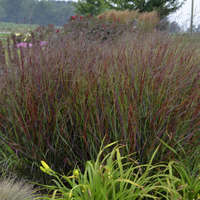 Dark foliage varieties need direct sunlight to achieve color. 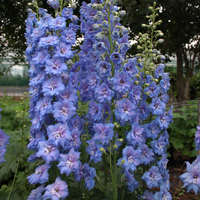 It is recommended to grow these outdoors. 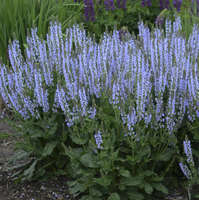 If early season forcing is desired then it is recommended to plant 72ct plugs into 2-3 gallon pots in mid summer for sales the following spring. 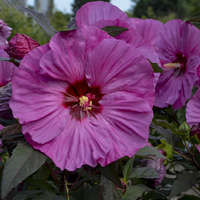 Warm temperatures of 68-75° F and supplemental lighting are required to force Hibiscus. 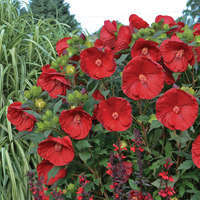 Plants flower in 12-14 weeks at 70° F.